The picture above was yesterday at the corner of Pennsylvania and North Avenue. It is an unfortunate image for a community that was once the thriving hub of African American culture in Baltimore in the 1940's and 1950's. The picture below was from that area in the 1950's. The area theaters hosted performances from Duke Ellington, Louie Armstrong, Eubie Blake and Nat King Cole. West Baltimore was also the home to civil rights leaders such as Supreme Court Justice Thurgood Marshall and Clarence Mitchell. So how did things change from the past to what we saw this week? From 2001 to 2011 I worked coordinating support services for grandparents raising grandchildren in Baltimore. This work took me into the communities of Baltimore that most of us never visit. For most of us Baltimore is the Inner Harbor, Oriole Park and maybe Johns Hopkins. But for 10 years I got to see the communities in Baltimore that have been devastated by drugs and crime. I can't remember how many times I have driven along North Avenue and seen the active drug trade being played out along that avenue. I maybe the only Columbian who has been in the CVS that burned yesterday. In talking with the grandparents in our support groups, many of which great grandparents in their 60's, 70's and 80's, I heard how their growing up years in Baltimore would probably resemble many of our memories. I learned that riding bikes in the alleys of Baltimore was safe and the closest thing to getting in trouble was opening a water hydrant on a hot summer day. I remember hearing the reality that you had to be good because every mother in the neighborhood knew who your mother was and would report any misbehavior before you got home. Well paying union blue collar jobs brought many of the parents of these grandparents to Baltimore. Bethlehem Steel, General Motors and the Port of Baltimore were employers that provided their families a middle class life with intact families. That was the Baltimore of the past that has largely disappeared. During the 1960's many middle class African American families began leaving West Baltimore for safer communities in Baltimore County like Randallstown. As the stable jobs disappeared drugs like heroin and then crack cocaine became more common in these communities. Police enforcement in an effort to control this drug problem created increasing tensions between the police and the community. What were once thriving communities with a rich culture became streets of boarded up row homes. Drug turf was protected by growing gangs. The imprisonment of African American men caught up in the drug wars left most families broken with single mothers and grandmothers struggling to raise their children. So where does that all leave Baltimore today? Answers will be hard to come by but the recent events will at least open our eyes to realization that many of the systems that create community stability in Baltimore are broken and have been for a long time. Two prominent areas that will have to be addressed are the development of more employment opportunities and a recognition that dealing with the drug problem in Baltimore has to be more comprehensive than arrest and imprisonment. Maybe it is time to really provide the needed drug treatment resources that have been underfunded with those dollars going to the cost of maintaining prisons.
" Howard County Executive Allan H. Kittleman, along with the Long Reach Village Board, has scheduled meetings to seek input from residents about the revitalization of the Long Reach Village Center. The first ReImagine Long Reach Village Center meeting will be heldTthis hursday, April 30 from 7-9pm. Additional sessions will be held from 7-9pm at Stonehouse in the Village Center on May 28, June 11 and September 17. Howard County Government acquired the majority of the Village Center property in October 2014 and purchased the former Safeway site in February 2015. The county will develop a revitalization plan, then seek private developers to purchase the center and implement the plan. Each meeting will allow time for presentations as well as comments and questions from those attending." For more information, visit the Long Reach Village Center redevelopment page on the county’s website at HowardCountyMD.gov/LongReach or contact Mark Thompson, Director of Downtown Redevelopment at 410-313-2350 orMThompson@HowardCountyMD.gov. I am doing something today that I have never done before in my blog and that is to mention a GoFundMe effort for a local runner who was seriously injured by a falling tree branch. Tom Green is a legend in our local runner community. He was the first runner to finish all 4 major hundred mile runs in the same summer. I have known Tom for many years and frequently would run into him running around Lake Elkhorn. Tom was truly one of those people who has a warm and welcoming personality. We also happen to share the same birth year and have marked our 10 year major birthdays with group runs some of our fellow runners who share the same birth year. We have been doing 1K for every year of of age. Years ago having Cuban food meant a trip to New York or Miami. I remember traveling through a rough section of Miami to try some real Cuban food. Now it is available with a short drive down Route 29 to Burtonsville. 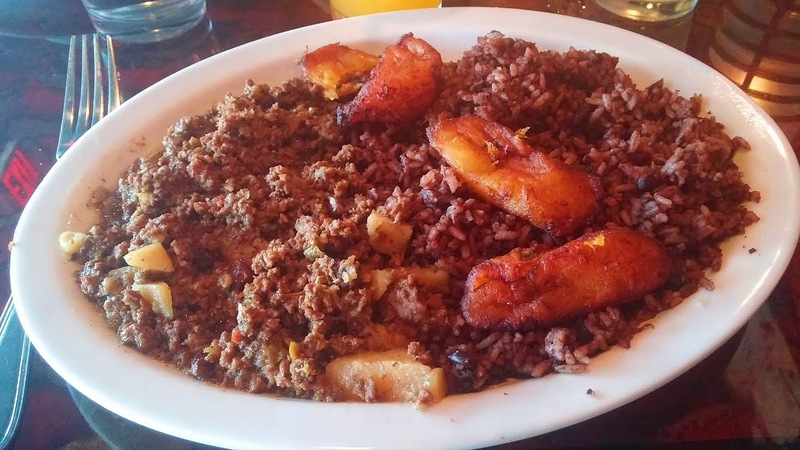 Cuba de Ayer is owned and operated by a Cuban family that knows how to provide authentic Cuban dishes like the Picadillo dish of ground beef with Cuban spices pictured below. The fried sweet plantains and rice and beans are great also. Somehow I find myself at this restaurant every month or two. The Cuban sandwich is one of the best I have ever tasted. 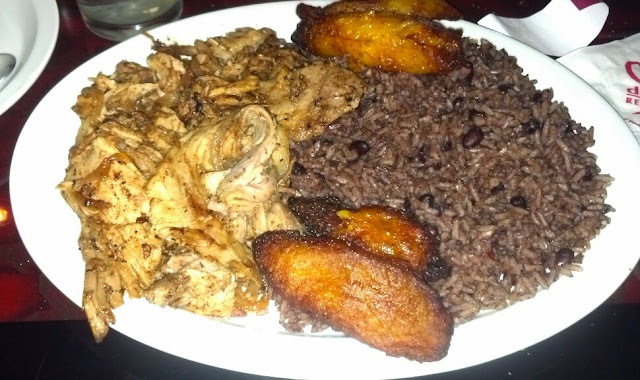 Pork seems to be the most popular meat in Cuban food as seen in the Pernil marinated pork dish shown below. Soon we may even be able to try this food in Cuba. Visiting Cuba is on my bucket list. Every Spring brings the return of the nesting cranes off of Vantage Point Rd. near one end of Lake Kittaquandi. 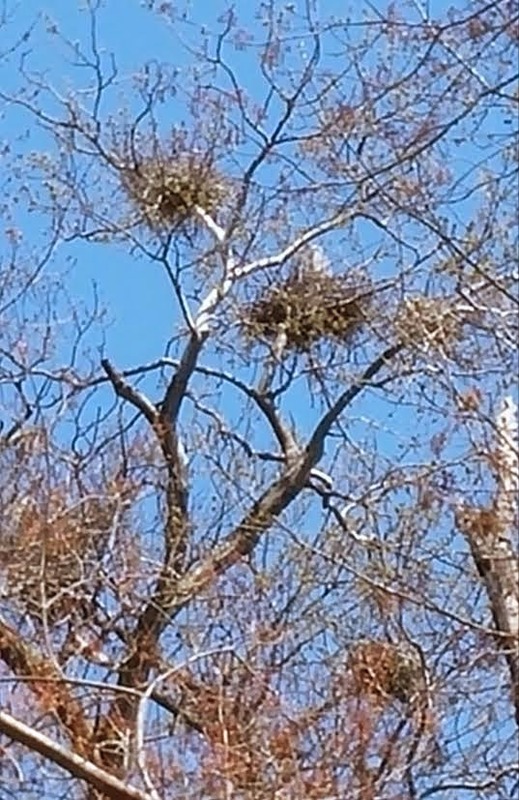 There are 6 crane nests in the top of the trees. You can see one of the cranes in the nest near the center of the picture above. At an earlier time I saw one of the young cranes creep to the edge of the nest but looked uncertain enough that they didn't attempt flight. 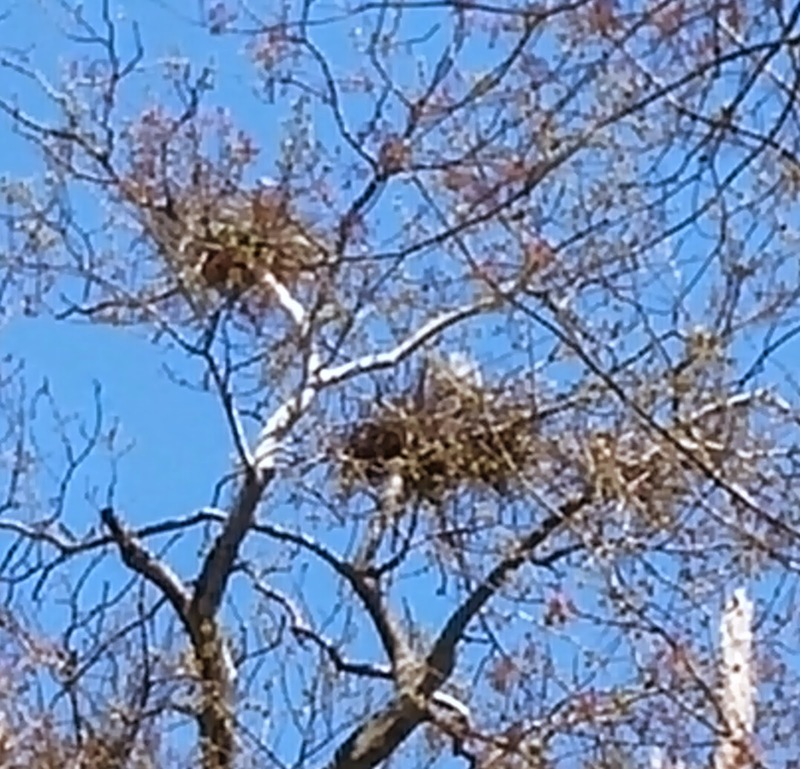 You can see the nests high in the trees as you take the south bound Route 29 exit off of 175 as you travel east on 175. With April being Earth Month I thought I would post a few environmental blog posts. Today I wanted to post on stream erosion. We have all learned how damaging this can be for our lakes with the dredging efforts that the Columbia Association has been doing with our lakes. Efforts are now directed upstream of our lakes to prevent the soil erosion from the stream banks that ends up in our lakes. 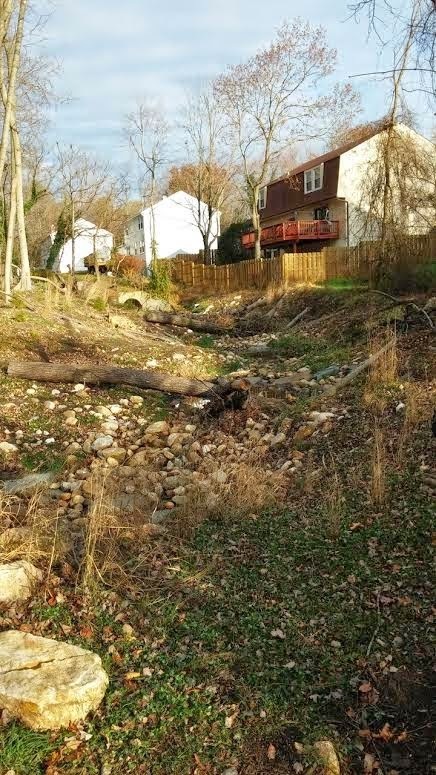 The pictures below show the efforts initiated by CA to mitigate the soil runoff into Lake Elkhorn. 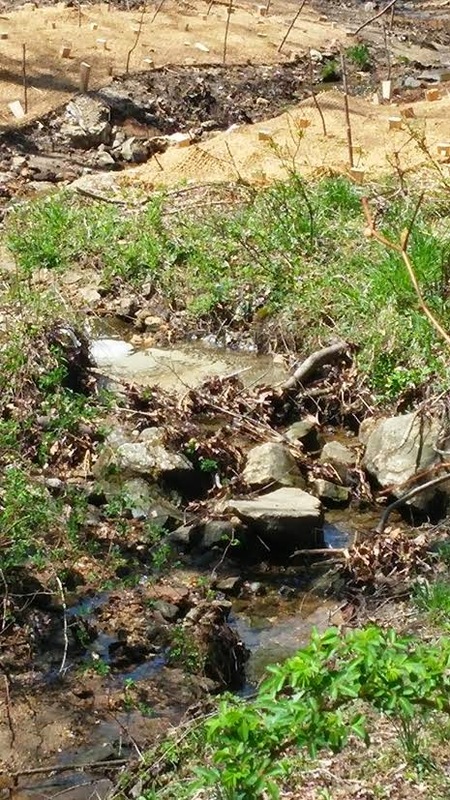 The use of rocks in these streams slows down the speed of the stormwater and captures some of the soil that would have gotten into the Lake. The capture of the soil in the stream bed is easier than dredging the Lake. 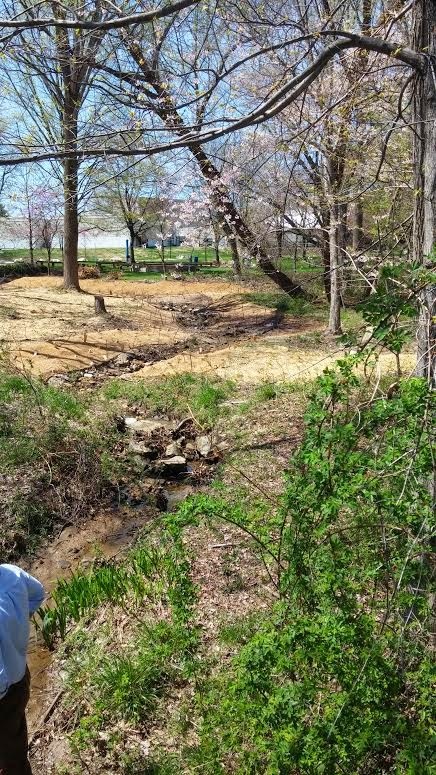 The picture below shows the stream bank erosion that occurs without these measures being taken. 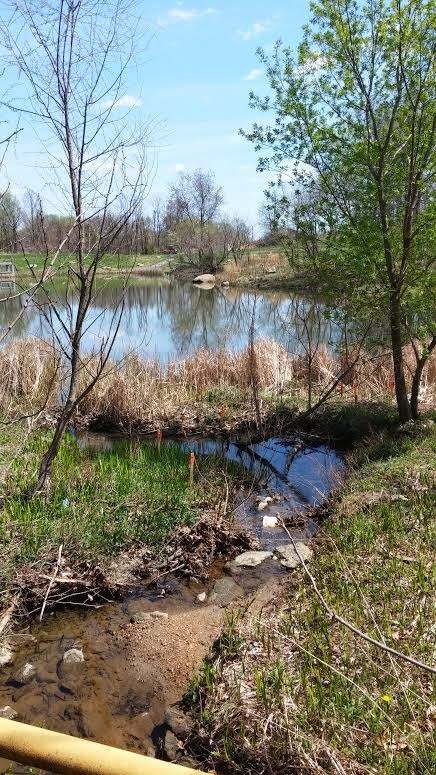 During the GreenFest this past weekend at Howard Community College their efforts to address stream soil erosion were highlighted on a nature walk. Trees planted to hold soil. With any discussion of storm water runoff caused by development we hear much about impervious pavements of driveways and parking lots. 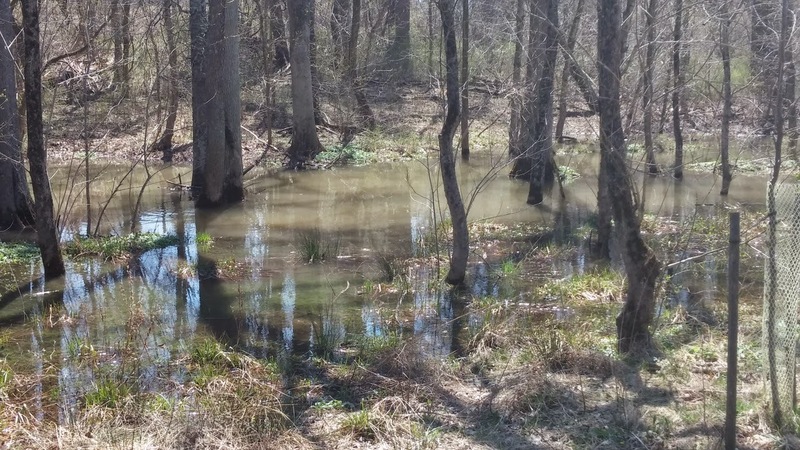 Want to know what else is a cause of storm water runoff with our suburban development? 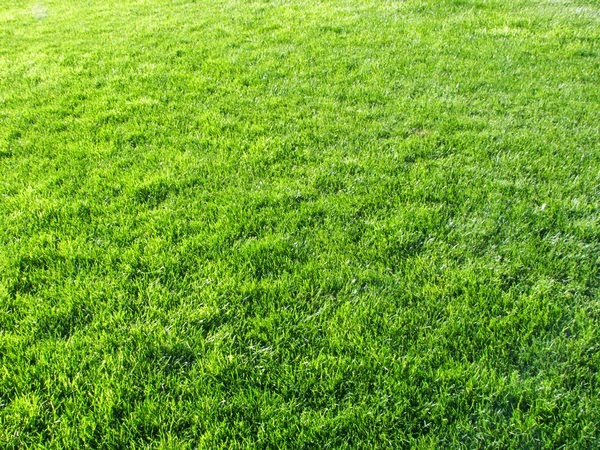 Our lawns. Think your lawn absorbs the rain water? Not as well as you think. That thick lush lawn that is so nice to walk on has a thick web like root system that prevents much of the water from getting through to the ground under the roots. That is why grass drys out so quickly when we go a week or two without rain. Fertilizing the lawn only makes this problem more pronounced. There is a cost we pay in replacing our ground water when we have extensive lawns. While we in the East Coast are not experiencing the profound water shortage that is now being seen out West we should not think that we will not pay a cost down the road. Our aquifers supply our ground water and they supply our drinking water. Without responsible management of our storm water we will see some of the impacts that the West is presently experiencing. 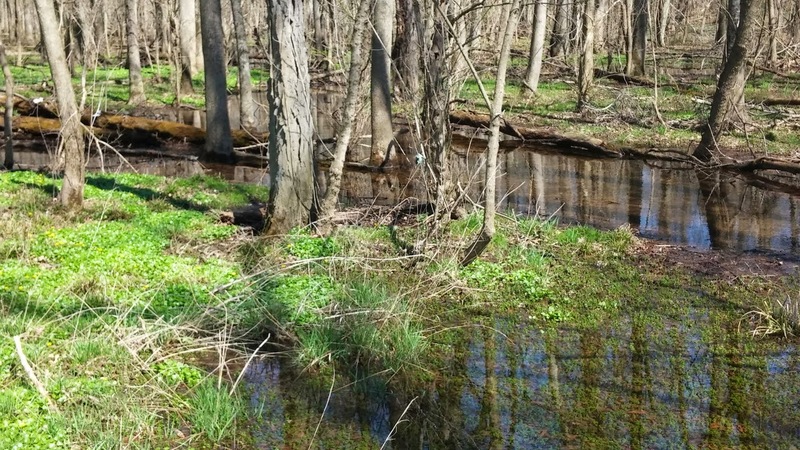 Storm water management is more than just the health of the Chesapeake Bay, as important as that is, but it maybe be brought home to us in our drinking water supply. The depletion of the aquifer has gotten so bad in some of the agricultural areas of California that the ground is sinking at an alarming rate. In Florida the sink holes are being caused by the same problem. 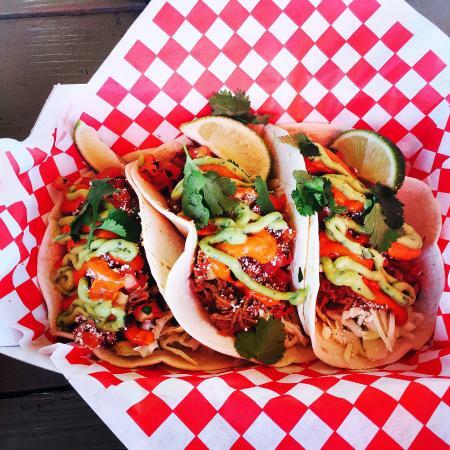 Food truck park in Howard County? 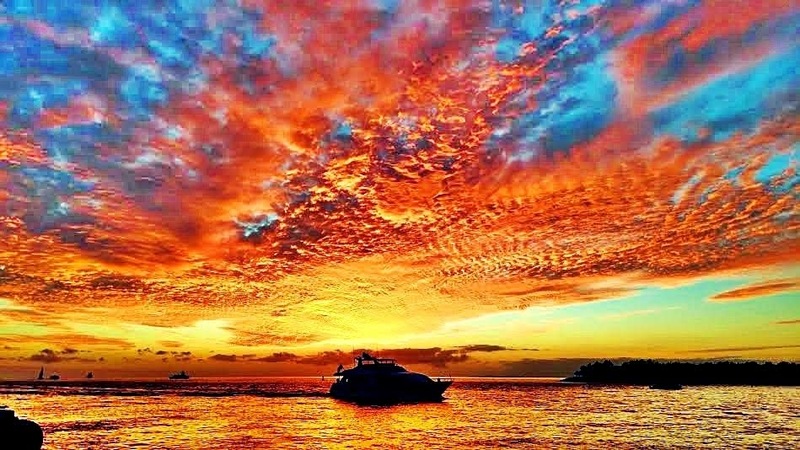 On a trip to the Florida Keys this past Winter two of the best meals I had were at food trucks. 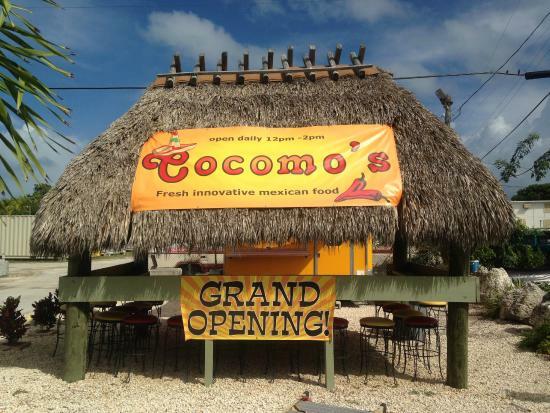 Above is Cocomo's in Marathon and below is Garbo's Grill in Key West. 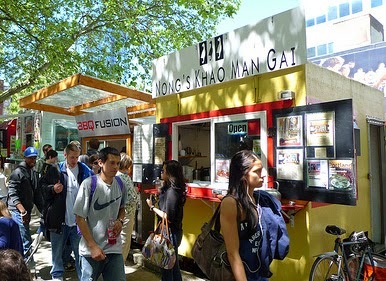 I recently saw a report on a food truck park in Portland, Oregon that has been very successful. Food trucks are quickly becoming a new food trend around the country and even here in Howard County. Some food truck use social media like Facebook and Twitter to let folks know where they will be on different days. Portland has decided that locating the trucks in one location gives people a greater selection all in one location. I have passed a number of food trucks in Howard County, mostly along Route 1, but have to admit I have never stopped at any of the trucks. Most seem to be smoking meats. It has got me wondering if the trucks might have more success with a food truck park in one of our industrial areas like Gateway or the Wholesale market at Route 1 and Route 175? Or maybe at one of our parks, like the soccer park on Oakland Mills Rd. How about the East Columbia Library with the farmer's market on Thursdays? 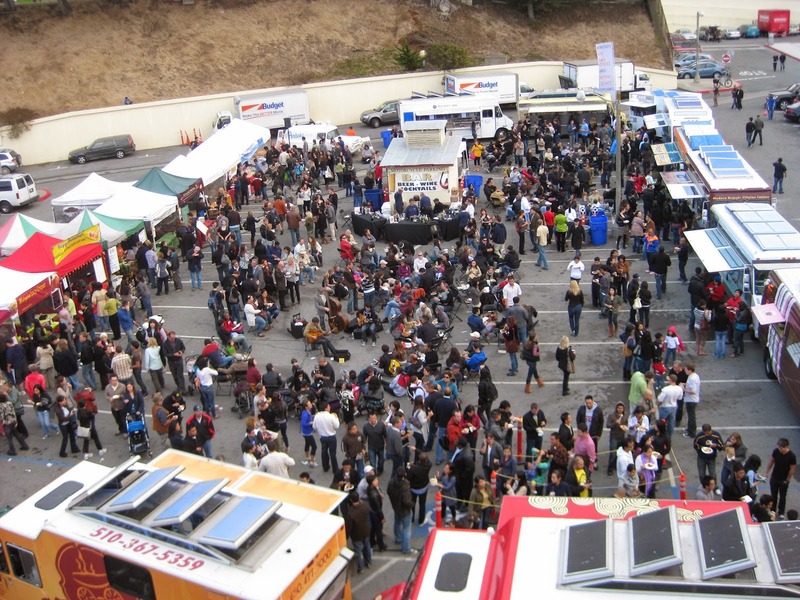 Maybe the food trucks could rotate around the county like the farmers markets. There is a change in the Festival this year. Instead of having all their events in a 3 week period in June the Festival moves to having events each quarter of the year. So this year's Festival starts today with a kickoff event and then on Friday for performances. Here is a link to the events over the next few days. Some of the most interesting performances are "The Whipping Man-A Civil War drama," "The Amish Project" and "The Skivvies- An Adult Cabaret." In a new book by CNN host Fareed Zakaria called "In Defense of a Liberal Arts Education" the author shows how a broad education that explores a variety of knowledge leads to the most creative and innovative perspectives. The value of having broad knowledge in a world of specialists maybe counter intuitive. Certainly the emphasis on STEM education today would make it seem that a liberal arts education is something that will not pay off in a career. While the starting salaries of students pursuing an engineering or science degree may start out at a higher salary level this advantage disappears over time. Maybe colleges should charge more to get an engineering degree than a liberal arts degree? 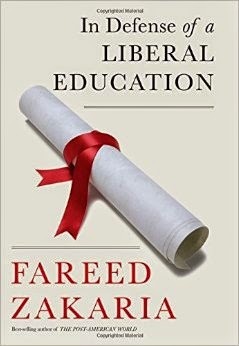 Fareed shows in this book that what has led to the United States being a leader in the world in innovation and developing new technology comes in part to the strong position of liberal arts education in American colleges. This value of liberal arts education doesn't exist everywhere in the world. Germany and many Western European countries have far fewer liberal arts programs and graduates than the US. So why study liberal arts if the starting salaries may not be the best way to start paying off student debt? When you look at some of the major innovators of our current time and in history you see that genius comes in the blending of both scientific knowledge and an understanding of the arts. Think Steve Jobs, Thomas Jefferson, Benjamin Franklin and Leonardo DiVinci. Here in Columbia a case can be made that the success of Jim Rouse was his blending of knowledge of business with a deep understanding of the aesthetics of a community. While innovation can happen through cooperative group efforts it many times comes from one person blending a number of divergent knowledge streams. 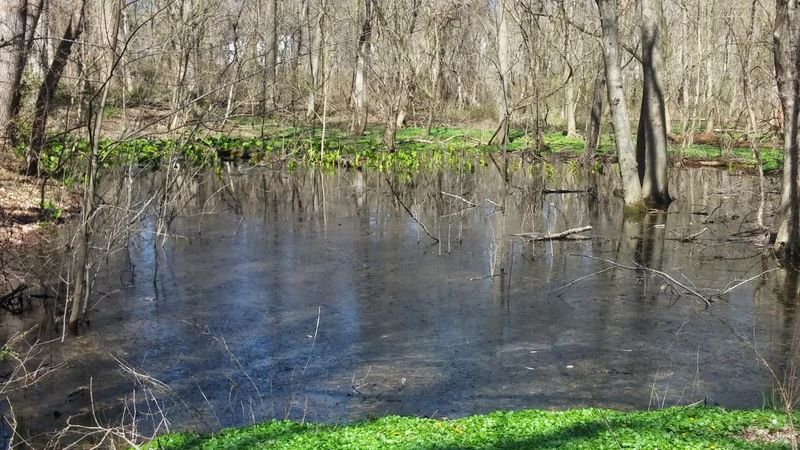 With the coming of our milder Spring weather recently it is a pleasure to see how our local wetlands absorb the recent storm water runoff. Too often these areas are being destroyed for development. These areas are important for restoring the ground water table so necessary for a healthy environment. What is happening in California with using this ground water to meet the needs of California growers during their drought is problematic for their future water needs. 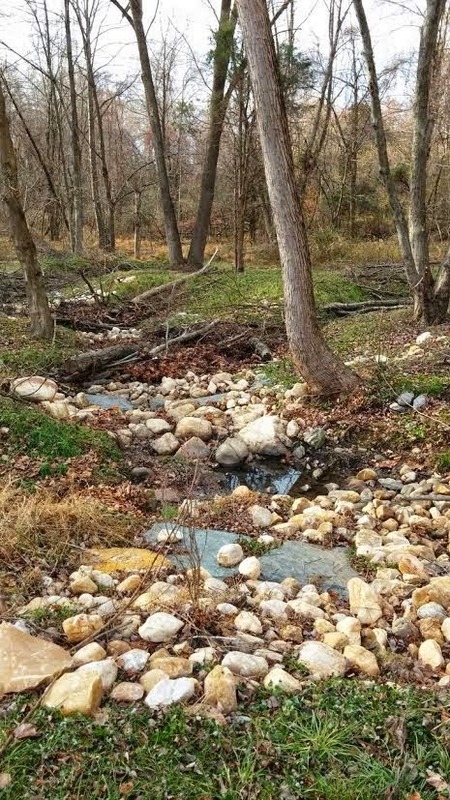 Here in our area the problem may not be drought but effective ways to manage the storm water runoff into our streams, rivers and the Bay to minimize the impact of development in our rapidly growing communities. Last Friday I was a judge as a Board Member of the Friends of the Library at the 2015 Battle of the Books at Wilde Lake High School. The picture above shows the 5th grade students who competed in the contest by attempting to answer 50 questions on this year's selected books. About one third of all 5th graders in Howard County schools participated in this year's Battle of the Books. 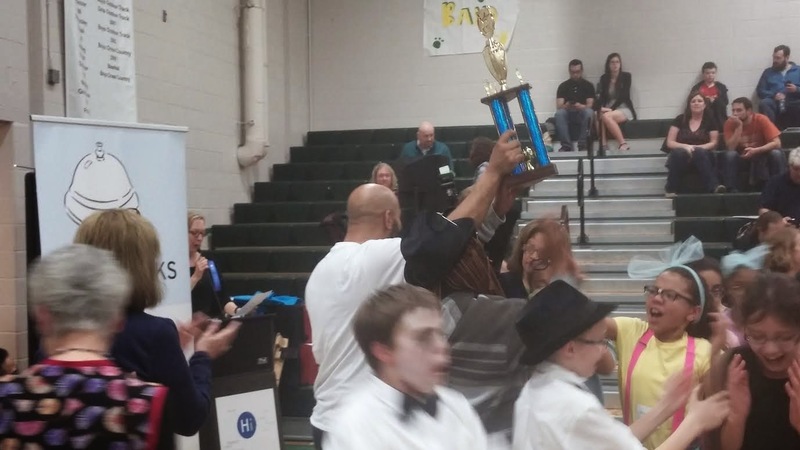 One of the teams from Cradlerock Elementary School won this year's competition at Wilde Lake. Competition was also held with school teams at 5 other high schools Friday evening. This competition is the result of a partnership between the Howard County Schools and the Howard County Library. • 57 percent of new books are not read to completion. "..... there is a strong correlation between independent reading and general academic achievement. Independent reading boosts vocabulary, reading comprehension, verbal skills and achievement-test scores. Moreover, early independent reading can create a snowball effect that expands knowledge. A 2011 study published in "Child Development," for example, found that children with higher reading test scores tended to do more independent reading. Independent reading in and of itself boosts reading test scores, so it could be that reading begets more reading." On a personal note my becoming an independent reader in 6th grade changed my life. Discovering the pleasure of reading led me in directions that define who I am today and has given my life a richness that I never take for granted. Participating in events like the Battle of the Books is one small way I try to give back for what reading has given me. I have been learning traditional Jewish dishes the past few years. 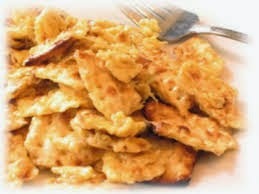 My most recent discovery was matzo brei. This traditional Passover dish made with matzo comes in both sweet and savory versions. The savory version had salt, pepper and granulated garlic. To the sweet version I added two teaspoons of sugar and two of condensed milk. I couldn't decide which I liked better. The dish is a cross between scrambled eggs and french toast. Think of it as a chewy version of scrambled eggs. I am sure a new family dish has been discovered. There are many online recipes for this dish. Here are just a couple. 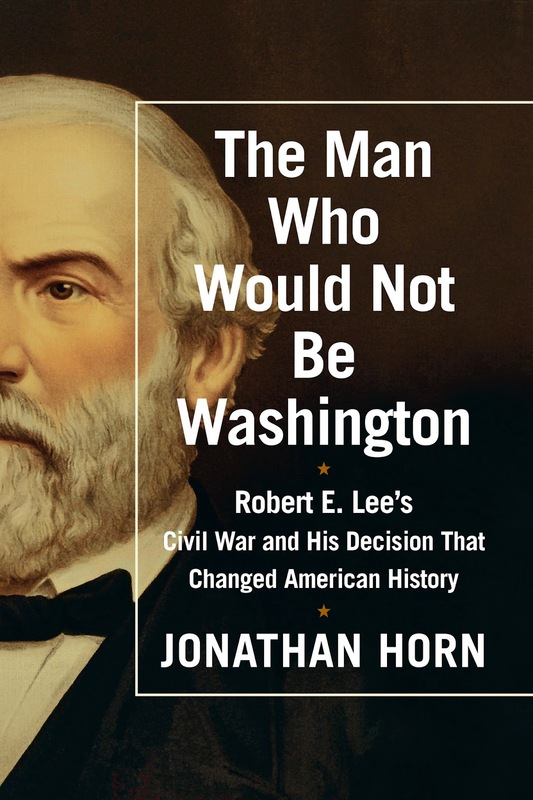 I recently read a book on the connections between the Lee family and the Washington family. 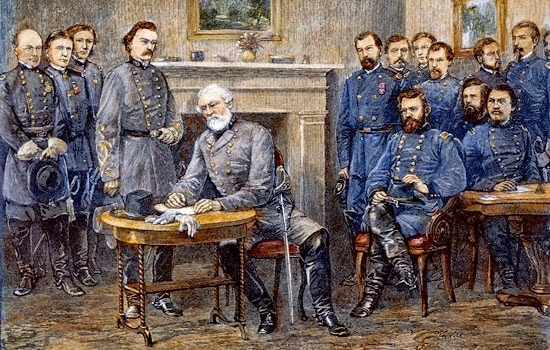 It pointed out the irony that Lee's wife, a decedent of the Washington family, was married to the man who might have been responsible for the dissolution of the United States if the Confederacy had won. Lee's wife was the step granddaughter of George Washington. Good read for those who are interested in American History. One interesting item about the Civil War era is that of the role of Marylander Montgomery Blair. This gentleman played a pivotal role in keeping Maryland from seceding from the Union. Lincoln was concerned that Maryland, as a slave state, would secede and leave Washington D.C. surrounded by Confederate states. This would probably have meant that the US Capitol would have had to be relocated. 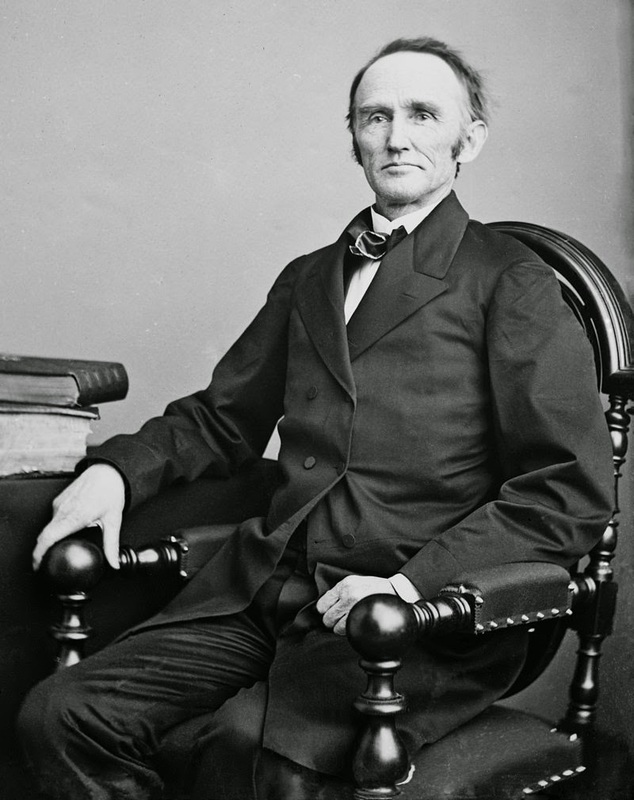 Lincoln appointed Montgomery Blair, an abolitionist, as Postmaster General to be one of his advocates with Maryland legislators to stay in the Union. 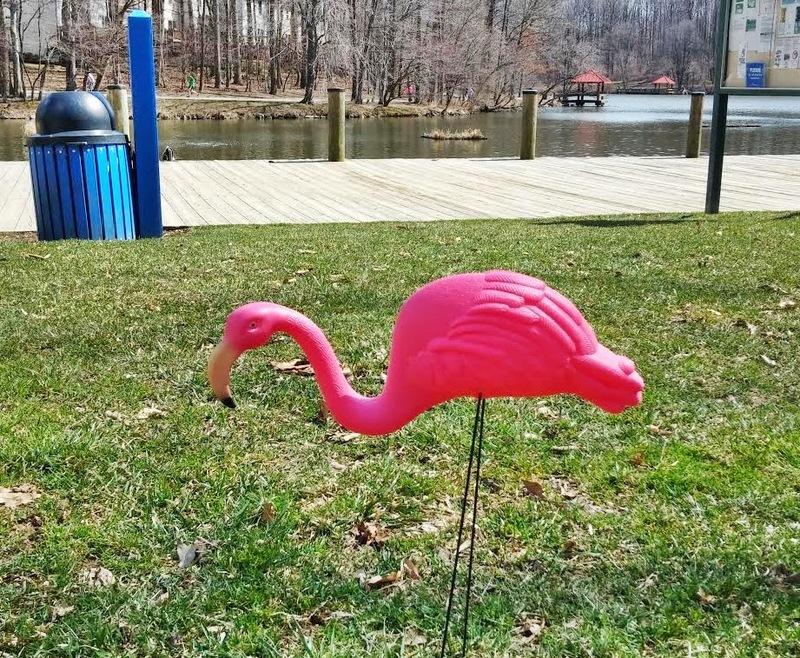 A report in 2012 from the Howard County Office of Planning and Zoning indicated that from 2000 to 2010 the over 65 population increased by 57 percent and the population 60-64 increased by 94%. The Baby Boomers in Howard County are moving into their senior years. While much of this population increase currently is in the "younger" senior years in the next 10 to 15 years this will become a population in need of more supports to remain living independently in their homes. The needs of the 75- 85 age population are far greater than the current younger aged cohort. With this reality in mind a new group has started in Howard County called "The Village in Howard." The Village is not a place but an organization of seniors who plan to create a supportive community of members as they age in place. The Village concept has grown rapidly across the country as the population of seniors has rapidly increased in the United States. 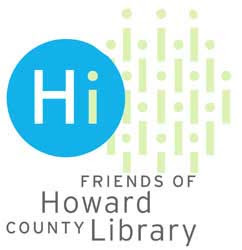 To learn more about the Village in Howard an informational session is being held next week. Here is the information. "The Village in Howard is a member-based COMMUNITY of Howard County residents 55 and older who want to continue to live independently in the homes and neighborhoods they know. What: Presentation on what the Village offers! Services - Activities - How we’ve grown! By now we all know that our Library is nationally renowned for being the best library in North America. So how do you get such acclaim? Of course you have a first class collection of library resources, dedicated staff and volunteers, great support from the community and local funders but what truly makes our Library special is the recognition that the Library needs to support the needs of the community in ways that go beyond the traditional roles of a library. Today I want to highlight just one of those services. I remember when getting a passport meant a trip to a passport center usually many miles from where I lived. Today that is no longer the case as the Library has set up a convenient passport center at two of our libraries. Below is the information from the Library on this service which is super convenient from personal experience. As an enhancement to Cultural Connections and a convenience to the community, Howard County Library System's (HCLS) East Columbia Branch and Glenwood Branch accept passport applications on behalf of the U.S. Department of State. The applicant (regardless of age) must appear in person. All family members must be present in order for a group to receive pager / take a number / get in line. Proof of Identity (Valid Driver's license / State ID Card / Military ID/ Passport). * Learner's Permits are not accepted by D.O.S. A COMPLETED application form DS-11. The form must be filled up in black ink. Please do not sign. Applicants aged 0-15 must be accompanied by parents presenting proof of relationship to the minor child; such as a birth certificate or adoption papers. Whoever is listed must appear. If two parents are listed, one parent may appear with a notarized consent form, DS 3053 and a photocopy of both sides of the non-appearing parent’s ID. For children deriving citizenship through parents: parent's naturalization certificate, child's permanent resident card and child's birth certificate are required. *If the birth certificate is not in English, a certified English translation is required. For your convenience, details are available on the printable Passport Center Fact Sheet. Passport costs are payable by check or money order ONLY. A separate check, payable to the Department of State, is required for each application. A $25 fee is required for EACH PASSPORT APPLICATION SUBMITTED. A $15 fee is required for each photo needed. Acceptable forms of payment for these additional fees include Visa, Mastercard, cash in the exact amount or checks made payable to Howard County Library System. 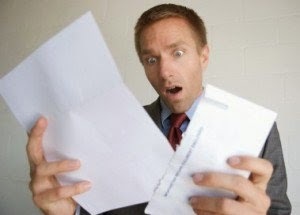 However, the Department of State only accepts payment by check or money order." 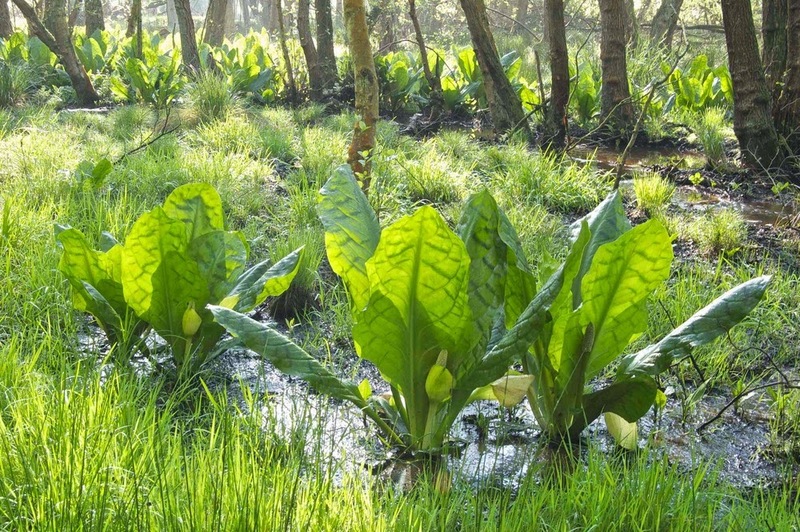 Yeah I am talking about the wild form of skunk weed that we are starting to see in our area and not the other form some people think of when they hear the word. The official start of Spring maybe March 21st on the calender but this is the sign I look for every year to know that we have turned the corner on Winter. Look for it in wetlands around our area now. It may not be the type of fragrance that you are looking for in Spring but it the harbinger of those other nicer fragrances later. I recently went with members of The Village in Howard on a tour of the Howard County Historical Society Museum in Ellicott City. The museum is housed in the old First Presbyterian Church at 8328 Court Avenue. 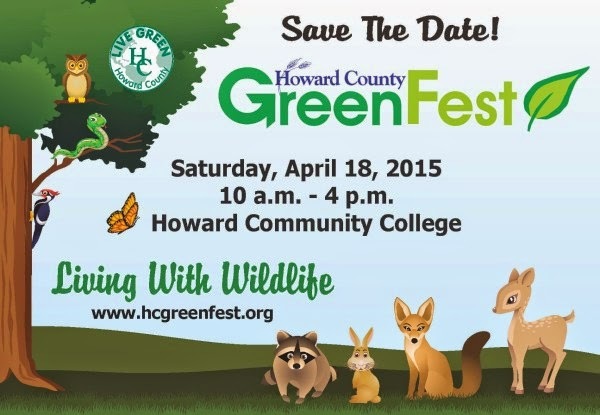 I never knew much about the history of Howard County or Ellicott City. I knew that back in the 1800's Howard County was a district of Ann Arundel County. 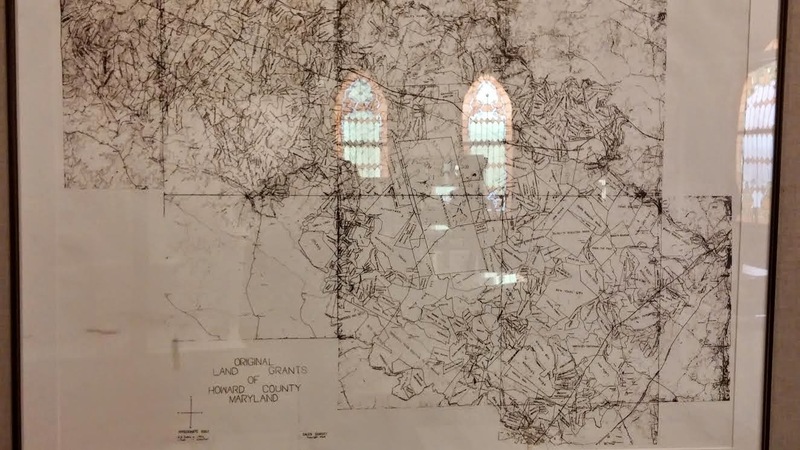 The above original land grant map of Howard County shows the land granted by Lord Baltimore (who was granted the land from the King of England) to people in our County. In the middle of the map you can see the large area granted to the Carroll family. The descendants of the Carroll family still live on the last piece of this land between Homewood Drive and Route 144. 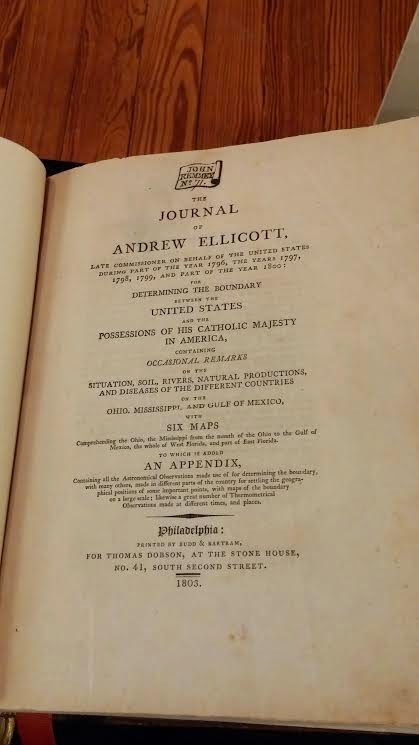 The most valuable item in the Society's collection is a first printing of the journal of Andrew Ellicott one of the founding family of Ellicott City. The Ellicotts were Quakers from Pennsylvania who came to Maryland to encourage farmers to switch from growing tobacco to wheat which was needed for the Ellicott's flour mill. The most important family to switch was the Carrolls which greatly increased the participation of the other families in the County. One of the selling points of growing wheat was that it didn't wear out the soil of nutrients the way tobacco did. Early tobacco growers in our Country were always moving west as the soil of their farms wore out. This is one reason for the early migration west from the coastal areas. 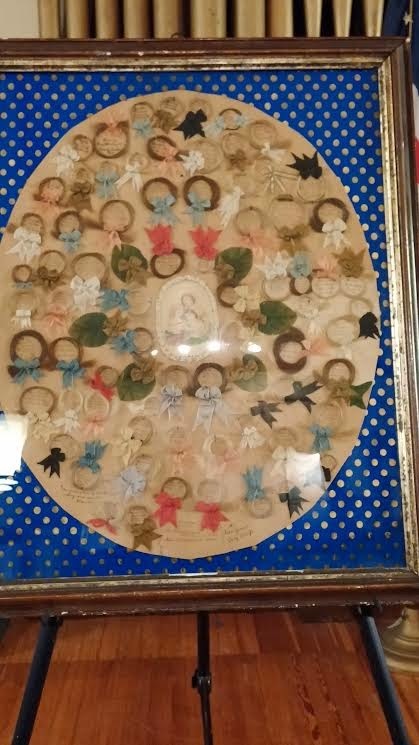 One of the most interesting items in the Society's collection is a family tree of the Ellicott family by clips of hair from each member of the family. 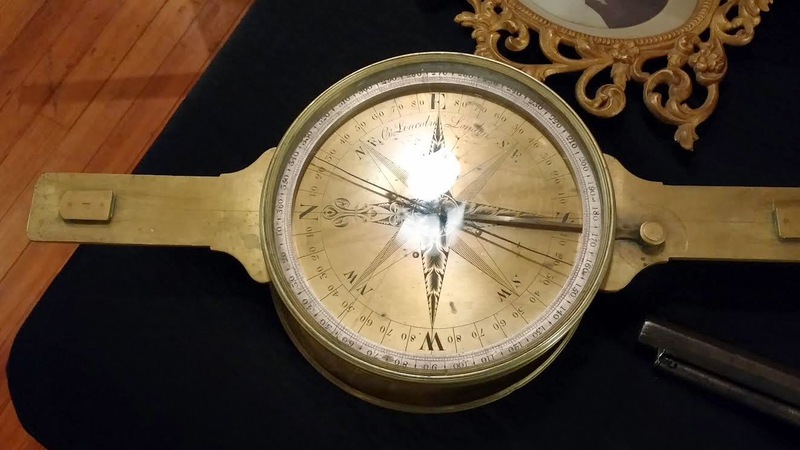 Pictured above is the surveying tool that most likely Benjamin Banneker used when he helped lay out Washington D. C. Banneker was a friend of the Ellicotts. Any history of Howard County has to include a section on slavery before the Civil War and the segregation that existed in the County until the 1960's. Howard County and Maryland had many Southern supporters during the Civil War. 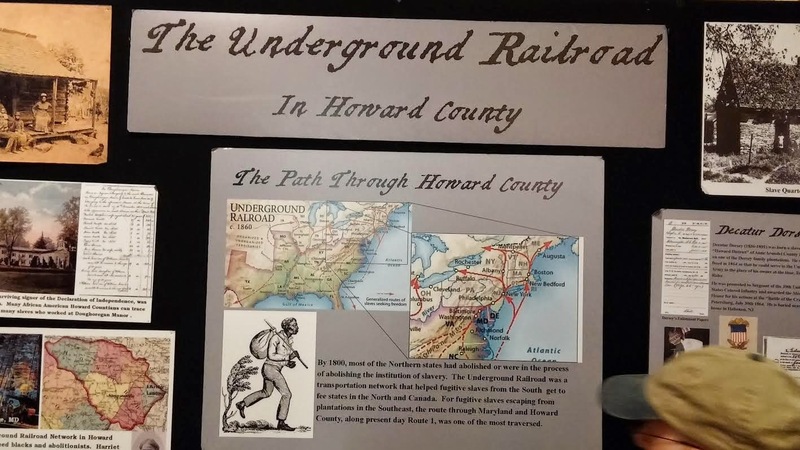 The display above shows the County's involvement in the Underground Railroad that passed through Howard County along what is now Route 1 toward Baltimore and out Route 144 toward Pittsburg. Freetown Road is named for one route that went through Simpsonville which had a number of free African Americans. The Quakers in our area were also involved in the Railroad in Howard County. 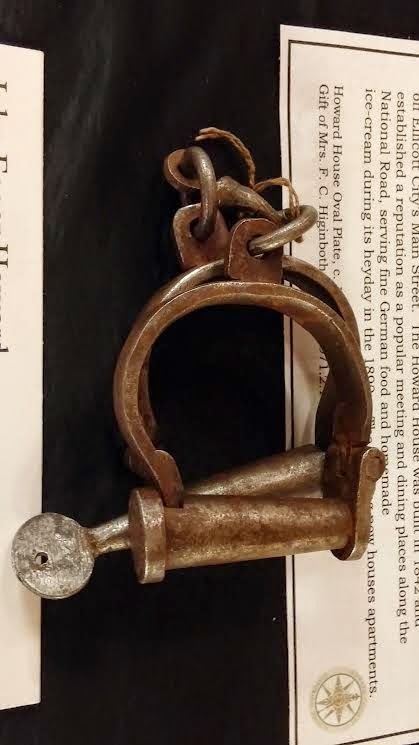 Above are some ankle shackles used on slaves. Some of the prominent black families in Howard County are the Carters, Moore and Dorsey families. Many descendants of these families still live in Howard County. 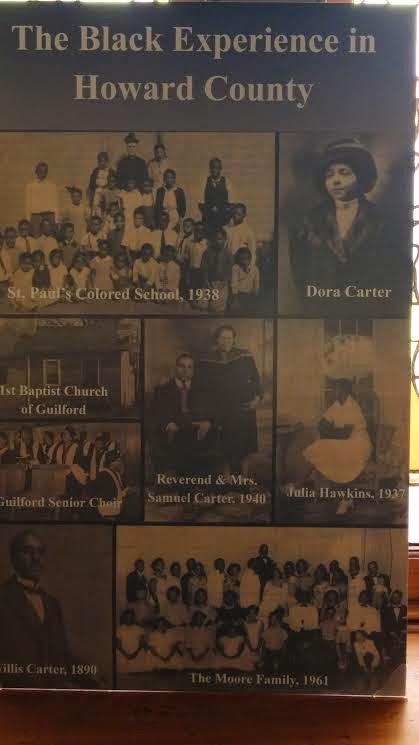 The anchor for black families in our area has always been the First Baptist Church of Guilford. 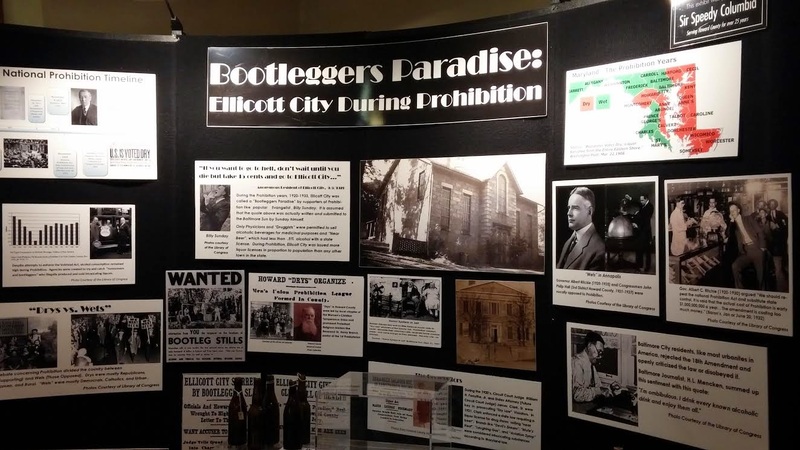 During Prohibition Howard County had a reputation for being the location for bootleggers. 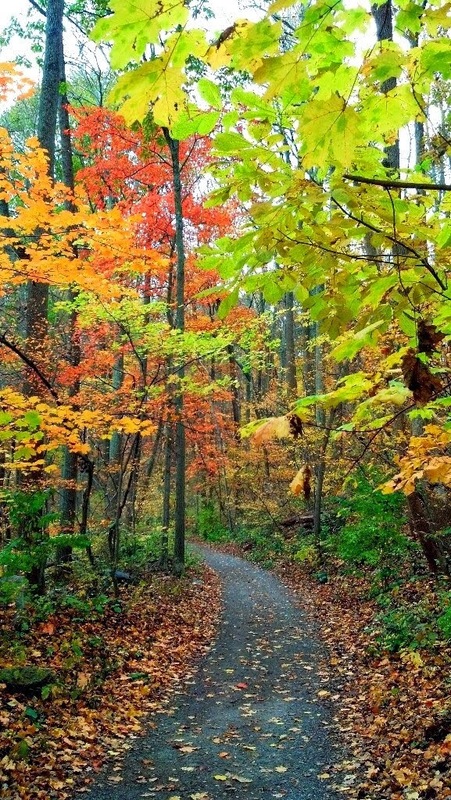 The rivers, streams and woods in the eastern part of Howard County were ideal for bootleggers. The only way that alcohol was legal in Prohibition was if it was prescribed by a doctor. It seems that it wasn't too hard to get a prescription from most Howard County doctors so the alcohol trade in Howard County drew people from other parts of Maryland. One bottle of whiskey in the display had been prescribed by Dr. Brumbaugh of Elkridge in the 1930's. I once had a chance to meet this doctor before he died in the 1970's. He had delivered most of the babies born in Elkridge for over 50 years. The Museum is a fascinating look at our County's history and well worth a visit. Are you paying too much for your gas and electric? With the high utility bills the past couple of months I decided to go online to see what the best deal I could get on lowering my bills. The suppliers of both gas and electric are now on a competitive basis for your business. You have the choice of which company supplies each of these to your home. The billing will still come from BG&E but you don't have to have them be your supplier unless they give you the best rate. To be a smart consumer you should look at the competitive rates offered by all the suppliers and their terms for a fixed rate. Fortunately this is easy to do with the website set up for Maryland consumers at this website. Most plans have no cancellation fees so it is good every year to check to see if you are getting the best rate. Changing is easy to do online. Beware of sales people coming door to door selling one of these plans. They are usually not the best plans and they will only give you the rate for their plan and will tell you how you will save with their plan. The problem is that they take away your competitive advantage unless you go online to compare for yourself. 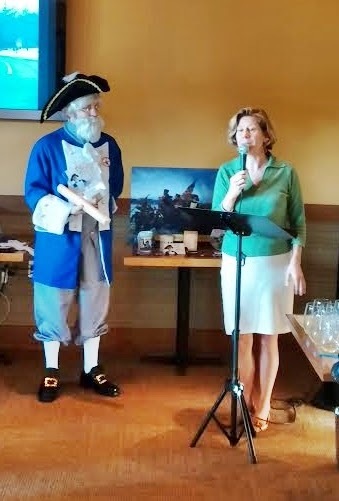 Jesse Newburn with Col. Gateway at last night's blog party at Aida Bistro. Recently a group of long time Columbians were having coffee at Riverside and were bemoaning the fact that Columbia has become too bland and sterile. What had originally been designed as a bold statement on a better way to design a suburban community has become more like the other bland models of suburban design. The feeling was that Columbia was becoming like Towson or Rockville and losing much of what brought us to this community. While the Columbia Arts Festival brings some good cultural events to our community it really doesn't engage most of our residents and has a "high brow" quality to it. Quickly the idea of forming an organization, the Columbia Art Aficionados, to solicit ideas for providing some "low brow" whimsy to Columbia took shape. 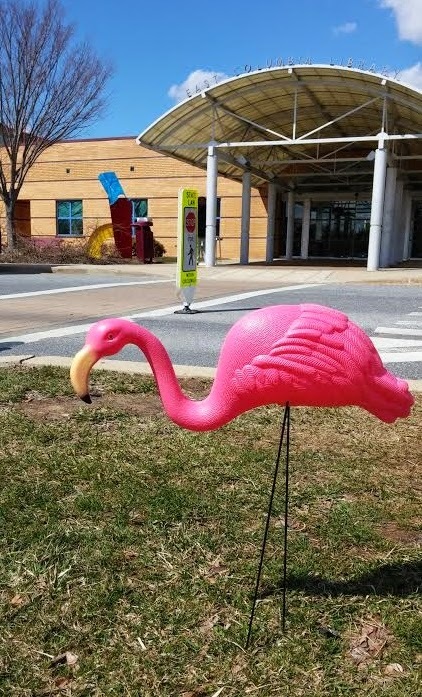 One idea led to another and the first suggestion to kick off this effort was to have pink flamingos appearing around our town. 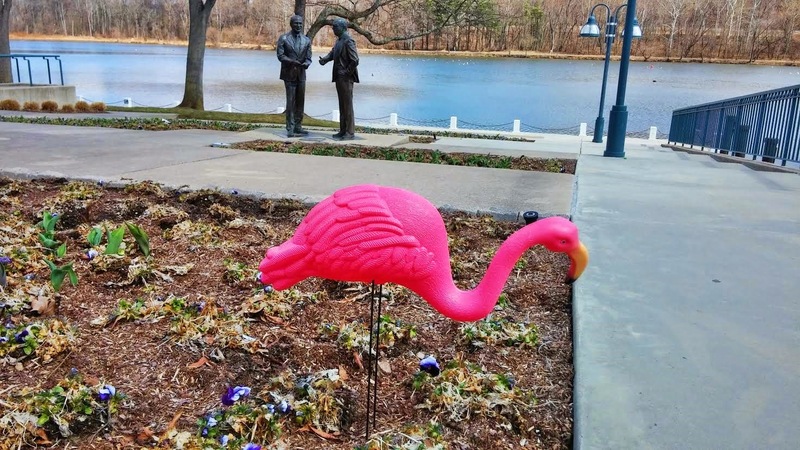 What better way to launch this effort bring a little kitsch to Columbia than pink flamingos. Look for these around Columbia in the next few weeks. Help us add "color" to our community. Call it a "guerrilla" art movement.